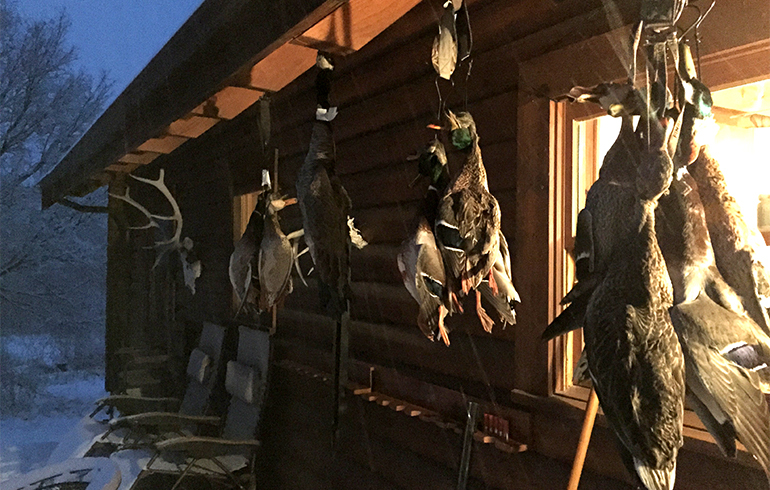 When it comes to late season tips for waterfowl, the most important thing to remember is you're usually hunting birds that have seen it all. You need to hunt smarter- not harder and pick your days and locations wisely. Another important aspect is keeping yourself warm and comfortable and using the best gear possible. 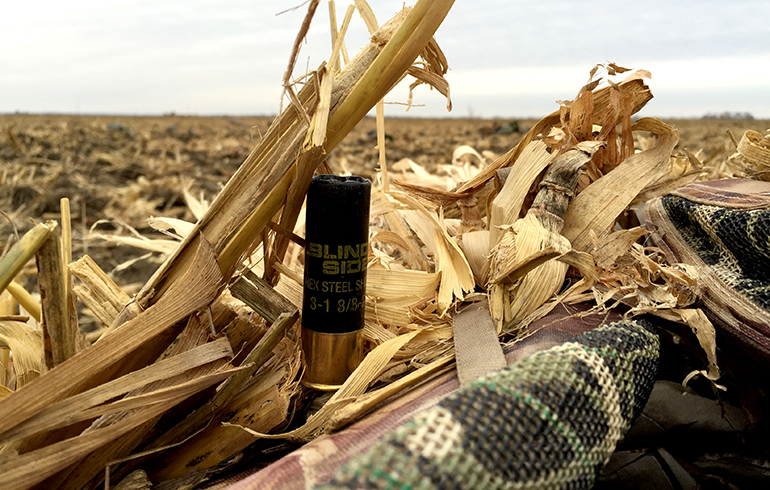 The more prepared you are for the weather conditions, the more you’ll enjoy the hunt. First, when calling or setting decoys remember you’re probably hunting pressured birds. With this, the adage “less is more” holds its own weight. I try to setup in locations where the birds naturally want to be or will be going through. As far as calling, this is absolutely true. These birds have heard and seen it all, so be cautious. Let scouting and setup do the work. Be confident in your setup and always be ready to adapt. 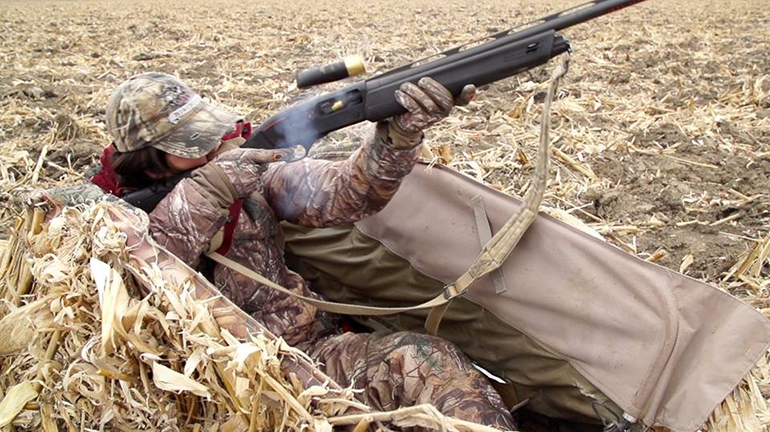 Next, keeping yourself comfortable is an absolute must in the book of late-season gunning. Check out the weather and pick hunting days wisely. If you’re someone who has limited time and is heading out regardless of the weather conditions…dress smart! Layer up! If you’re in water, make darn certain you have a set of waders that allow several layers underneath. I actually love using my Field & Stream fishing waders because they are loose and allow me to put several layers underneath to stay warm. I also always pack numerous ThermaCare heat wraps in my bag. They don’t take up much space and will keep me warm all day allowing for less bulk and layers with clothing. The two I usually use are for the lower back (kidney area) and neck. I place these directly on my skin and unlike many other hot hand type products they will not over-heat or burn skin, and disperse heat evenly all day long. Lastly, I reach for my Winchester SX4 with Winchester Blind Side ammo. This combination is deadly in the field and can withstand the most dreadful weather conditions a late-season fowler will face. What I love about Blind Side is the fact that Winchester has incorporated a Drylok Super Steel System along with specially lacquered primers to keep shot powder dry in even the wettest conditions. So overall if you’re looking to get in on some late-season waterfowl action, hunt smart and take the time to scout ahead of time if possible. Learning to adapt on any hunt is super important, but when you’re doing late season hunting this can truly make the difference in the field. 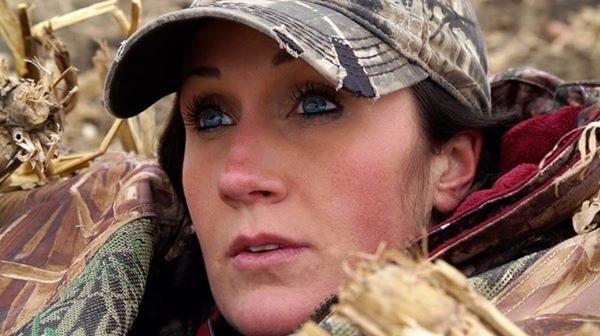 With a degree in broadcast journalism, Melissa set sights on a career in the outdoors. Traveling over 300 days a year to shoot for Winchester Deadly Passion, Bachman considers this her “dream job.” With a love for children, industry trade shows and the great outdoors, she films around the world for her adrenaline-pumped series.